My first thought was about Good Friday-- the day Jesus died on the cross (April 14). But no, this wasn't an ad for Holy Week services at a local church. This was an ad for one of the large home improvement stores in town, the orange one, and I was really taken aback. 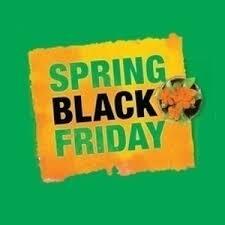 Just in time for Easter (not mentioned), you can get great deals today on mulch, lawn mowers, patio furniture, etc. It's an ongoing sales event for the first couple weeks of April, not necessarily tied to a specific date, like, you know, Good Friday. I don't know what your outdoor needs are-- I have several myself-- but I do not have the time or energy to pursue them between today and April 16, Easter Sunday. It's another unnecessary layer of distraction. Since the beginning of March, we've journeyed through Lent, 40 days of devotion and spiritual discipline, only to get a great discount on a leaf blower?? Please. No thank you. This Sunday, 8:30 and 11:00: Palm/Passion Sunday. Our kids will wave palm branches and lead a procession through the Celebration Center. We'll quickly move to a reflection on the message of the cross. Monday night, 7:30: Sherman Interdenominational Ministerial Alliance service. Celebrate our unity in Christ with brothers and sisters of other Sherman area churches. Wednesday night, 5:30: The final installment of the "Death of the Messiah" study. 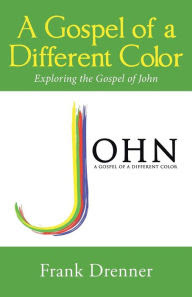 We'll examine a couple of classical depictions of Jesus' Passion, then experience the powerful Farewell Discourse, four chapters in the Gospel of John when Jesus prays for and says goodbye to his disciples. Holy Thursday, 7:00: A commemoration of the institution of the Lord's Supper. We'll celebrate communion together. Good Friday, 7:00: Powerful music, prayers, and readings from the Gospel of John create an emotional remembrance of Christ's sacrificial love. Holy Saturday, 2:00-4:00: Walk Through Holy Week and Easter Egg Hunt. Great fun for the kiddos. 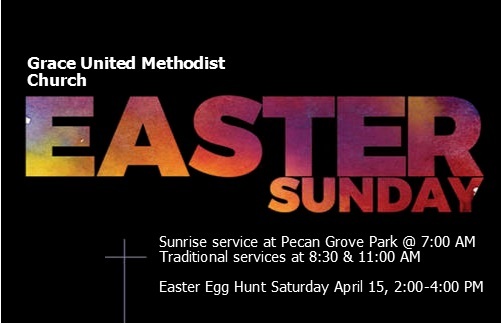 Easter Day: Sunrise service at Pecan Grove Park West, 7:00; services here at the church at 8:30 and 11:00. Snacks and coffee will be served before and after each service. Be on the lookout for new people! And after all of that, the highs and lows of the most important week in human history, you may be exhausted-- I will be for sure-- but hopefully the good news will fill you with so much joy that you'll be able to devote every ounce of that energy to... yard work? Decorating? No-- it still doesn't work. A quick word of thanks to our office and program staff here at Grace-- they really are wonderful. David and Lynda lead the music with such enthusiasm, in addition to planning services and recruiting worship participants. The choir is great. Anthony, Lori, Matt, William, and Laura make for a wonderful experience of praise music. Janet is gearing up for the Walk Through Holy Week and the sunrise service, led by youth. Rhonda handles all the logistics of the church. Jan runs the calendar, maintains the schedules, prints and designs newsletters, emails, and bulletins. Jack keeps everything inside and outside the building looking great. Gerri keeps us current on our bills. Pastor Leon cares for people. I really appreciate the gifts of our talented staff team. And thanks as well for our lay volunteers, who helped clean in and around the building last Saturday, and those who will do everything in their power to make folk feel welcome Easter morning. This includes all of us. There will be much to do! I am excited to join in the celebration April 16!